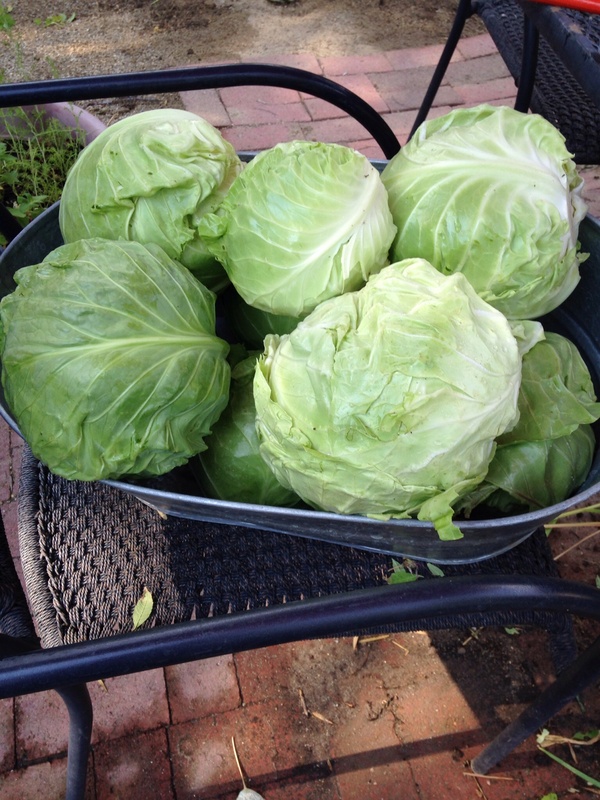 We harvested 8 beautiful huge heads of cabbage. 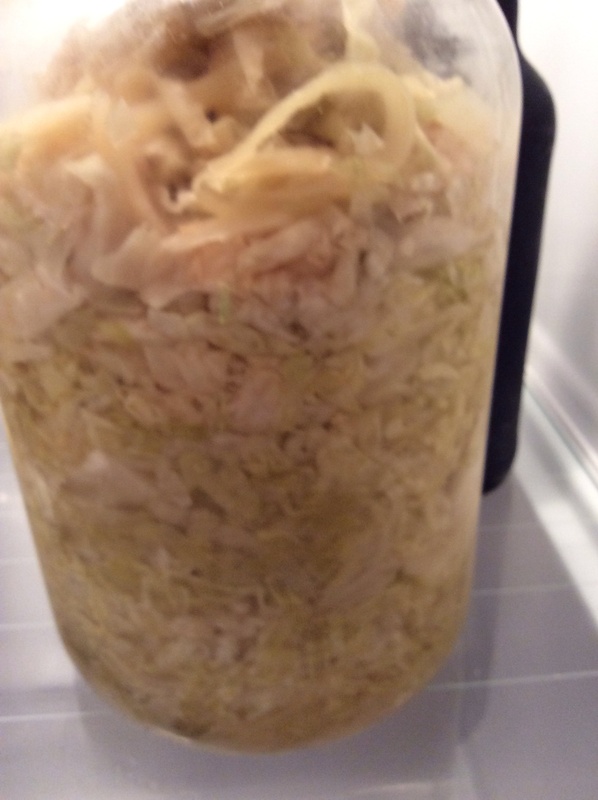 This was my first attempt at fermenting and storing cabbage. 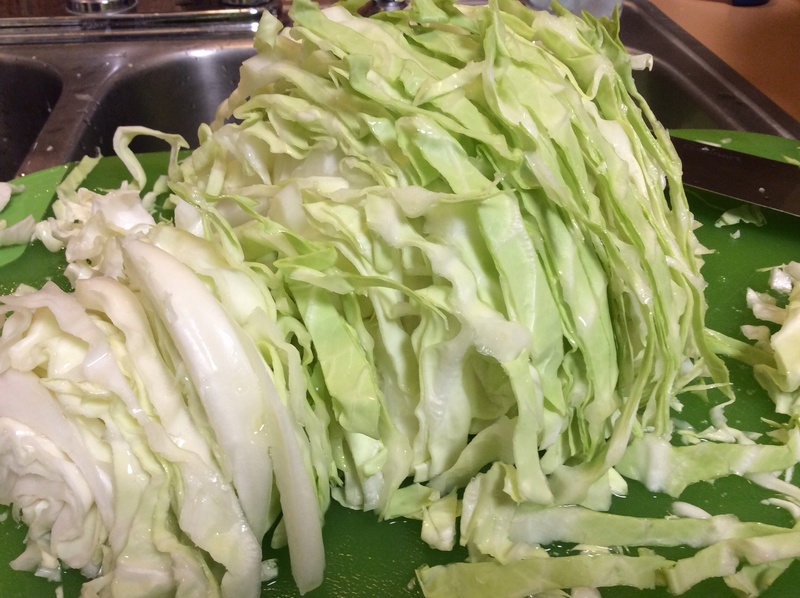 I blanched and froze two of the eight heads and saved the rest as sauerkraut. I used the recipe above and it couldn’t have been easier. 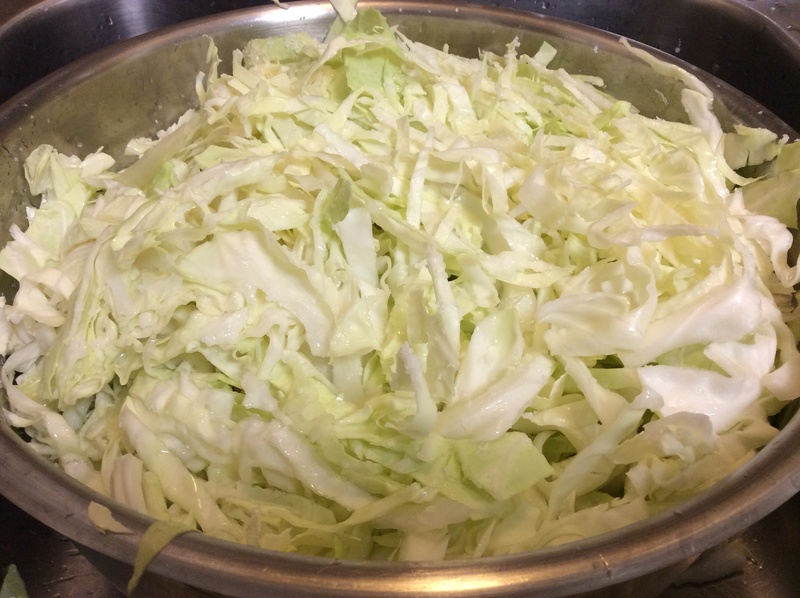 One tip- make extra brine, you will need it to cover the cabbage.